Learn how to repair and remove write protection for TwinMOS USB Stick .We explain 4 ways to remove write protection of TwinMOS Flash Drives . 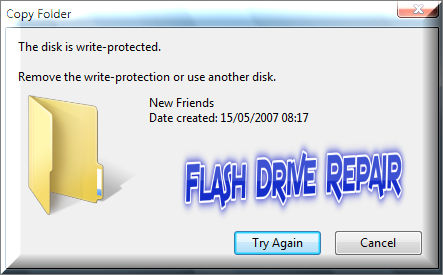 How to remove write protection for TwinMOS USB Stick ? To remove the write protection of TwinMOS USB Flash Drive .There are many repair methods you can try them ,if the first method works fine so i will say to you congratulation .But if doesn't work probably so you should try the next method until your problem fixed . 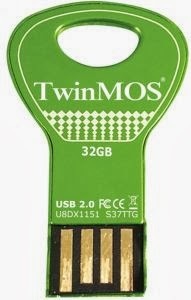 We must know the TWINMOS USB Stick chip vendor information , and this information we can extract it by Chip Genius software ,You can follow this method by do the steps in this article "How to repair usb flash drive in three steps "
You can remove write protection of TWINMOS flash drives by formatting it through DOS Format .To learn how to remove write protection by DOS , please read this article "8 ways to fix write protected usb flash drive and memory card "
You can remove write protection for TWINMOS USB pen drive by modifying windows registry for USB .To learn how to modify Windows Registry For USB , read this article "8 ways to fix write protected usb flash drive and memory card " , it will be the sixth method in that article . Don't forget to subscribe to our mailing list and Facebook Page to get the most recent articles of Flash Drive Repair . I will be happy if you leave a comment with your problem in this article "4ways to remove write protection for TwinMOS USB Stick "